At ten o’clock in the evening, the sky is bright with sunset streaks of orange and pink. Gavia Lake is flat calm, and no breeze ripples the leaves of mature birch trees crowding the lake’s shore. But the placid wilderness scene is far from quiet. Two loons call to each other across the water, their haunting voices recalling the ancient music of prehistoric times. Rainbow trout rise, breaking the surface of the lake to leap for insect meals. 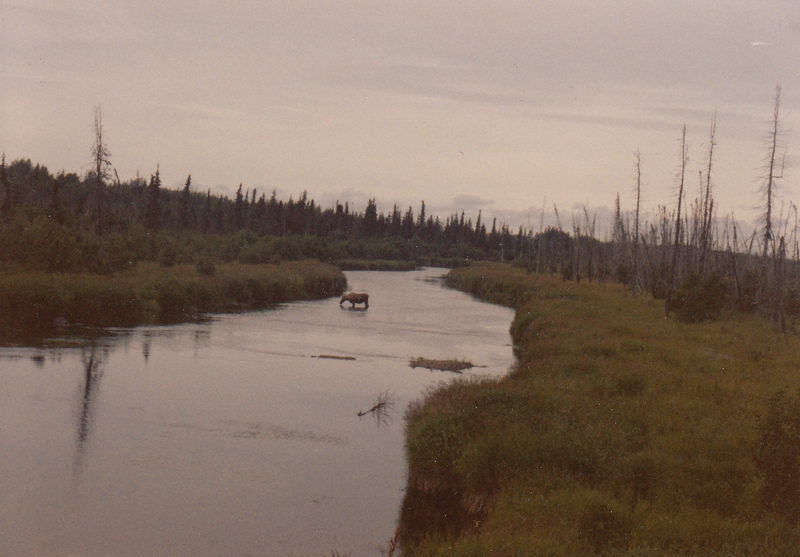 On the far side of the water, a young moose emerges from a spruce grove to venture into knee-deep water, in search of succulent plants growing on the lake bottom. Teeming with wildlife and promising a unique wilderness experience, the Kenai National Wildlife Refuge canoe systems are a recreational paddler’s paradise located just a short drive from civilization. Very little specialized equipment is needed for an excursion into the region: a canoe and a sense of adventure are the minimum requirements. Both of the refuge canoe systems are located in the flatlands north of Sterling. Swan Lake system, a series of 30 lakes connected by waterways and short portages, is the more popular of the two canoe trails. The remote Swanson River canoe route consists of better than 40 lakes, and contains a killer portage one mile in length. The reward for choosing that course is an array of first-rate campsites on the shores of pristine lakes, deep in the Kenai backcountry. 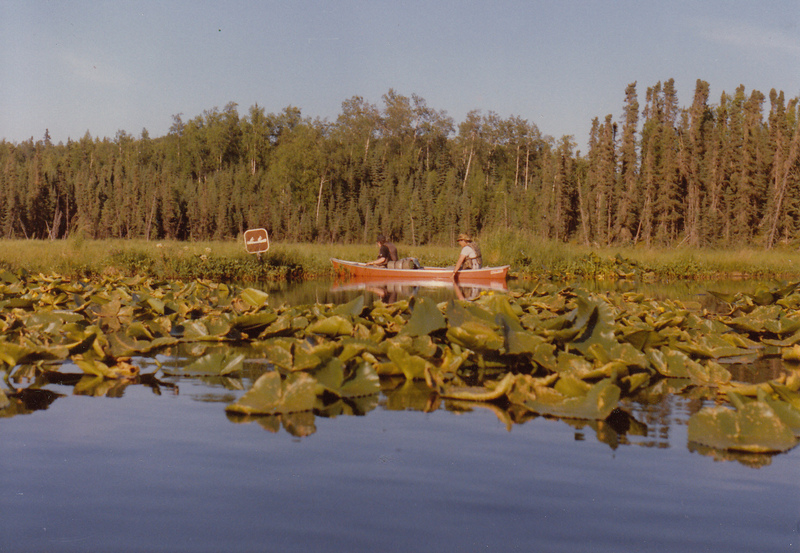 The two canoe systems were designated as wilderness areas in 1980. At the same time, both routes were granted status as National Recreational Trails. 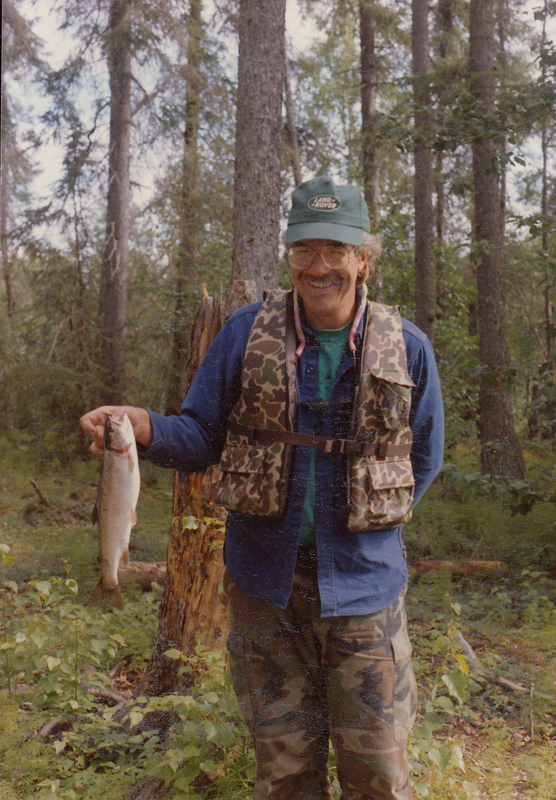 Management by the Fish and Wildlife Service is aimed toward providing recreational users with an opportunity to observe the Kenai Peninsula’s wildlife species in their native environment. A trip to one of the canoe systems can be as short as one afternoon, or as long as a week. 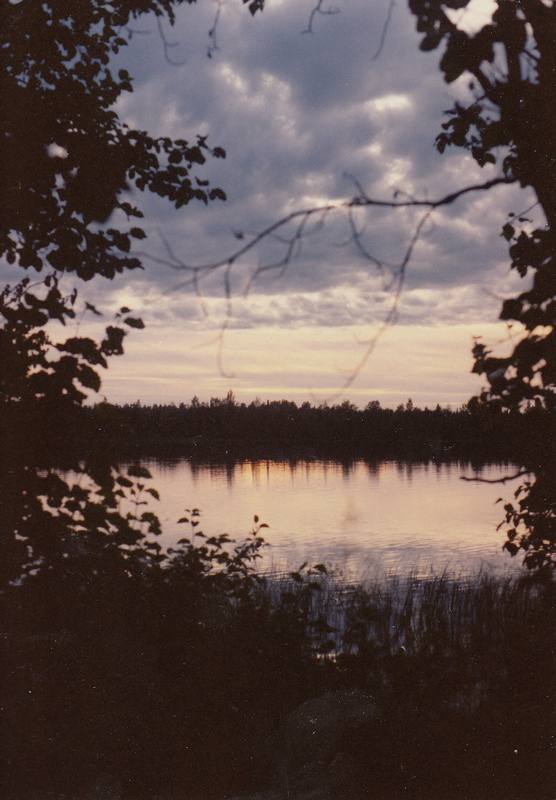 Campsites located on the lake shores include established fire pits and excellent places to pitch a tent. Registration is mandatory at canoe system entrances if a group plans to stay overnight. Equipment to take along on a canoe trip is minimal. Food, a portable cooking stove, rain gear, and extra clothes are the basic supplies. Refuge regulations require a life jacket be carried for each participant, and an extra paddle should be carried. Waterproof footwear is essential. Tennis shoes or hiking boots are useless on lake shores and soggy portages. 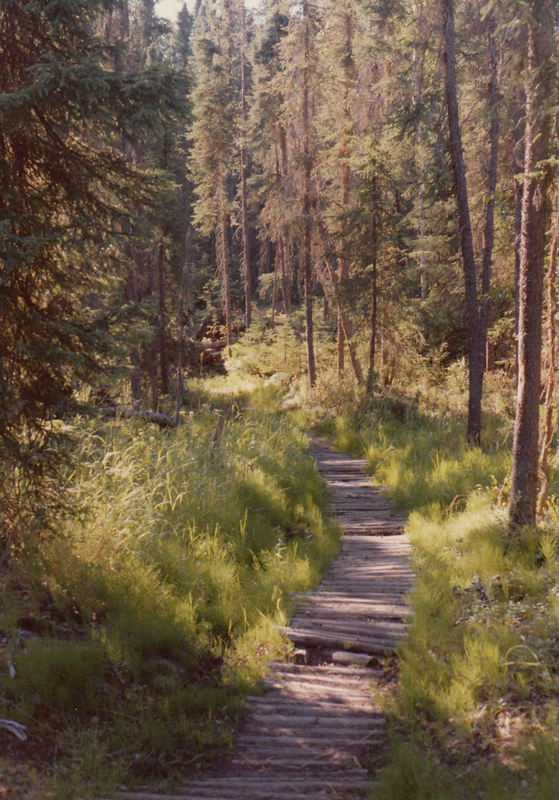 Although the land routes connecting the lakes are maintained by a trail crew, they tend to turn to mucky bogs after a rain. Rubber knee boots, or better, hip boots, are the only foot gear to wear on the trail. 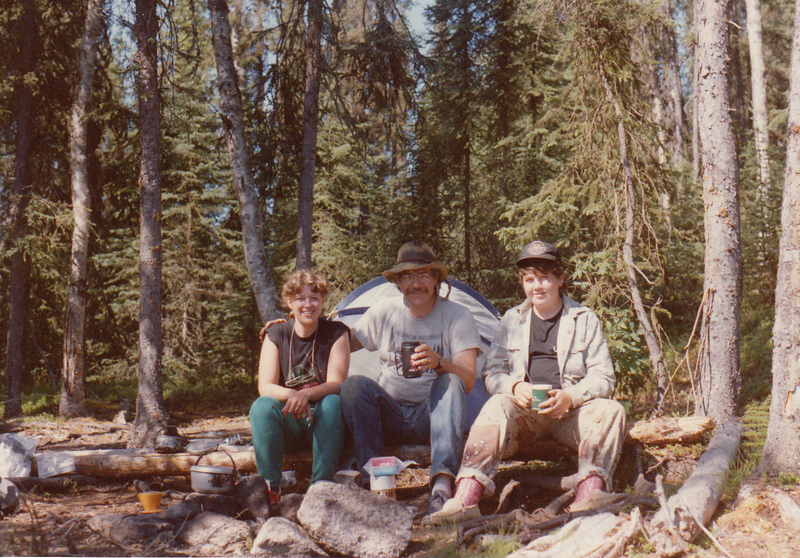 Be sure the boots fit well, as they will be worn for long periods of time, and blisters can render even the shortest portage distressingly painful. Another indispensable item to carry during a trip into the lakes is insect repellent. Mosquitoes are thickest in June, but they linger until autumn leaves turn yellow. If the proximity of bugs is irritating, try to keep in mind that they provide food for a large population of rainbow trout in the lakes, which suggests another vital piece of equipment to carry: a lightweight fishing rod. A fishing license is necessary for both residents and nonresidents above age 16. More than 30 species of wildlife reside within the two canoe systems. Moose are common along shores. Paddle close to islands, too, in early June, to see moose with baby calves. Seeking refuge from black bears, moose stay on islands until their young are strong enough to move to the mainland. Don’t approach moose too closely. They’re protective of their young and can be dangerous when they feel threatened. Black bears are fairly widespread in the northern lakes region. Precautions should be taken to avoid an unwelcome guest in a campsite. Hang food from a tree some distance from your tent, wash all dinner dishes thoroughly, and bury scraps of food. If a bear is spotted, canoeists should make noise to let their presence be known. If necessary, an escape can be made via canoe onto a lake. Bears belong in the backcountry, as do moose and eagles; these animals must be treated with respect. Other wild animals living in the canoe systems include mink, otter, beaver, and muskrat. Beaver dams, common on the lakes, assist in maintaining lake water levels. The presence of beaver indicates that lake water should be boiled or treated before drinking. Giardia, or Beaver Fever, can make life miserable for weeks if infected water is consumed. Bird life around the lakes is varied and fascinating. Almost every lake supports a pair of nesting loons. The young hatch in early summer. For several weeks, chicks can be seen riding on their parents’ backs before they learn how to dive and swim. Curious about people, loons will sometimes swim quite near a canoe to get a closer look. Several pairs of trumpeter swans nest on the canoe trail lakes. These uncommon white birds move with a grace and beauty that’s a delight to watch. Bring along a pair of binoculars to observe nesting birds and wildlife without disrupting their domain. Summer weather on the northern lakes can best be described as variable. Sunny, windless days feel downright hot. More frequently, days are mild and cloudy, with temperatures in the 50 to 70 degree range. Nights can be cool, sometimes dipping into the upper 30s. No description of the canoe system would be complete without a mention of the possibility of rain. Summer storms move in quickly, transforming a lake from mirror smooth to dangerously choppy within just a few minutes. If the wind picks up, or clouds approach from the southwest, boaters should stay close to shore and prepare to camp nearby. On the positive side, an inverted canoe makes a great shelter from the rain! An awkward form of transportation, portaging is an unpleasant surprise to the uninitiated. 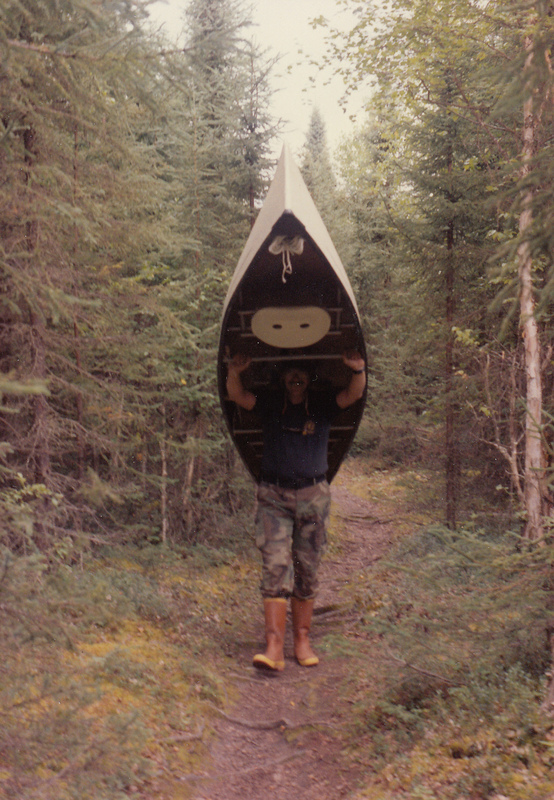 The canoe, fitted with pads on the middle strut, is balanced upside down on the shoulders. Most of the portages are short enough that the carry of the canoe is not too difficult. Canoe rests have been built for the longer portages; the wooden pole structures are a godsend to any weary portager who has just carried a 60 pound canoe to the top of a steep hill. The northern portion of the Kenai Peninsula contains more than a thousand lakes spread across its unpopulated flatlands. As designated wilderness areas, the lakes are accessible to entry only under the power of paddle and foot. Traveling by canoe can be hard work, but the payoff is handsome. The sound of a loon calling its mate, a moment of contact with the soft, brown eyes of a moose calf, or the chance sighting of a bald eagle in the nest are some of the rewards earned on a canoe trip in the refuge. The rewards are worth every paddle stroke, every step through a boggy swamp portage, and every mosquito swat. I remember canoeing with you on one of those ittle lakes off the Skilak Loop (I think), and being very impressed when you called up loons!